A while back a reader told us about an interesting timepiece which had a minimalist design and used a steel ball as a the time indicator. The reader had only seen it briefly, did not know what it was called, and asked if we could help track it down. We did some digging and found the Time Trak Series III. 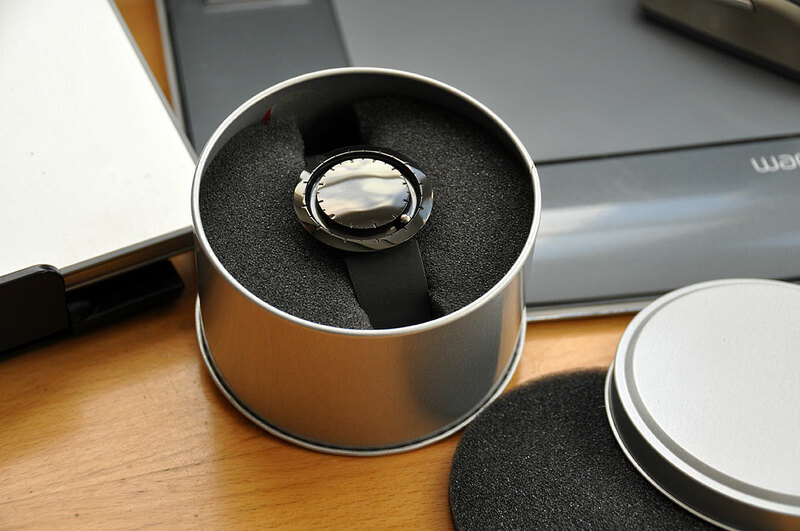 The watch is part of the offerings from a company called TimeQuest. They offer interesting watches in a wide variety of styles and price ranges. The Time Trak Series III is part of the Abacus line. 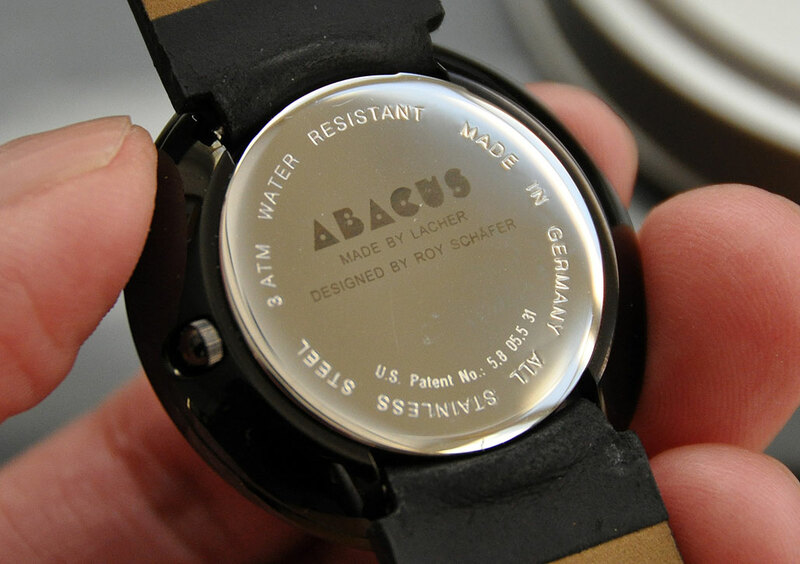 It was designed by Roy Schafer, made in Germany by Lacher, and built using Swiss quartz movements. The watch has a 40mm face, a free-rolling steel ball for hands, and black leather straps. The entire effect is clean, functional, and absolutely unique. Don’t let its good looks fool you into thinking that it is just a pretty face. The Series III has a stainless steel back, special leather straps, and is water-resistant to 3 ATM. It probably can go everywhere our Timex e-Compass can without skipping a beat. The most unique aspect of the Time Trak is, of course, the free-rolling time indicator. The steel ball is encased inside a channel and will roll freely until it “hits” the correct time. We are guessing there is some kind of magnet which is moving under the rail to “trap” the ball. Some were skeptical about touching the ball at first, but once you get used to it, it is kind of addictive! Our only comment on this very attractive watch is that if you are undecided on whether to get the black or the brushed-steel, go with the steel. The reason is that in order to create the high polish, the thicker black coating takes away a little bit of the crispness of the hour markings. We would imagine the brushed-steel version does not have this minor issue. If you are looking for a unique wristwatch to add to your colleciton, the TimeTrak Series III is a great choice. It is stylish, innovative, and very striking. A definite conversation starter. Best of all, Timequest has them on sale at this very moment. Some colors are sold out, so if you snooze you lose.